Harvard University Press, 9780674980204, 344pp. Why do some surprises delight--the endings of Agatha Christie novels, films like The Sixth Sense, the flash awareness that David Copperfield's benefactor is not (and never was ) Miss Havisham? Writing at the intersection of cognitive science and narrative pleasure, Vera Tobin explains how our brains conspire with stories to produce those revelatory plots that define a "well-made surprise." By tracing the prevalence of surprise endings in both literary fiction and popular literature and showing how they exploit our mental limits, Tobin upends two common beliefs. The first is cognitive science's tendency to consider biases a form of moral weakness and failure. The second is certain critics' presumption that surprise endings are mere shallow gimmicks. The latter is simply not true, and the former tells at best half the story. Tobin shows that building a good plot twist is a complex art that reflects a sophisticated understanding of the human mind. Reading classic, popular, and obscure literature alongside the latest research in cognitive science, Tobin argues that a good surprise works by taking advantage of our mental limits. 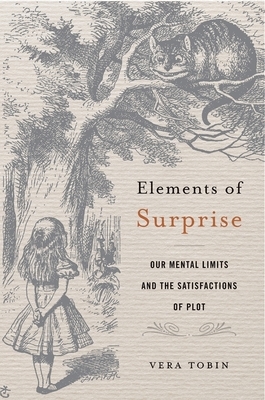 Elements of Surprise describes how cognitive biases, mental shortcuts, and quirks of memory conspire with stories to produce wondrous illusions, and also provides a sophisticated how-to guide for writers. In Tobin's hands, the interactions of plot and cognition reveal the interdependencies of surprise, sympathy, and sense-making. The result is a new appreciation of the pleasures of being had.